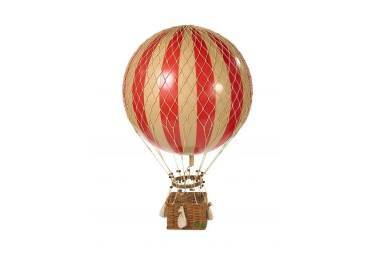 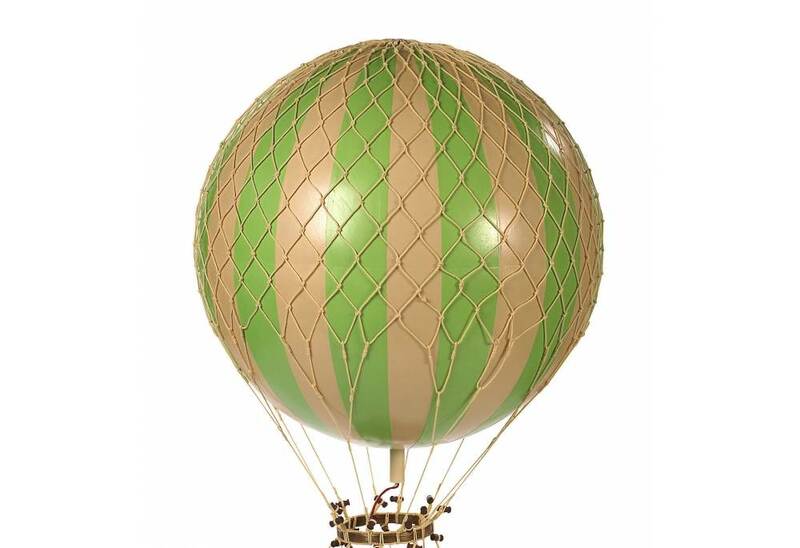 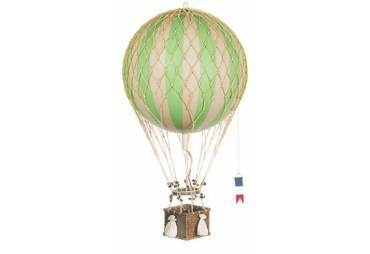 This XL Jules Verne green hot air balloon model is brand new and the manufacturer is Authentic Models (please see below). 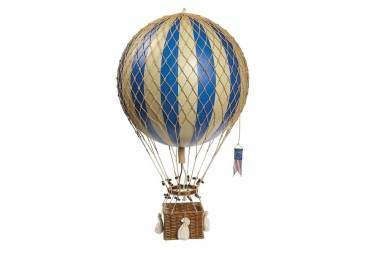 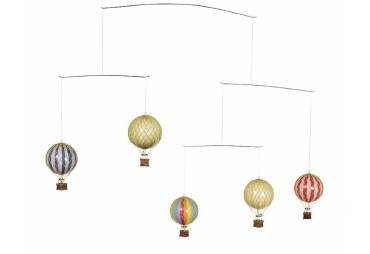 The decorative Jules Verne hot air balloon model is handcrafted of fabric paper gores applied to a paper-mache core, the netting ishand woven . 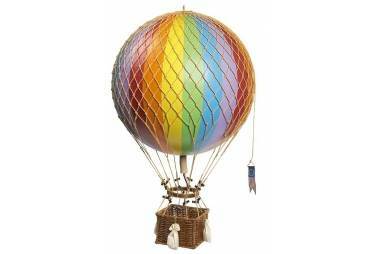 The basket is rattan (wicker) and the toggles are wooden. 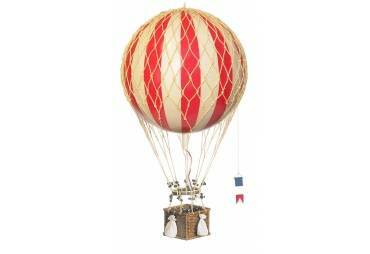 Also included are cloth sand bags. 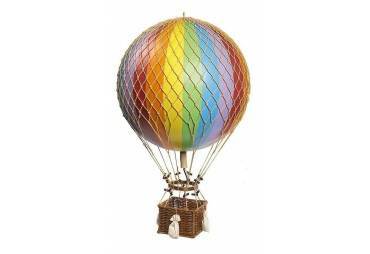 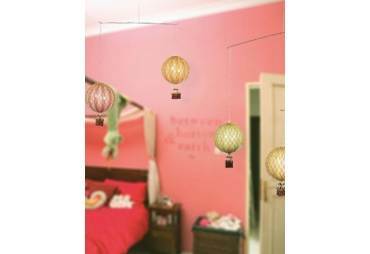 The hot air balloon model is easily displayed by hanging it from the included eye on top of the balloon.